Today, HRC Mississippi hailed the Jackson, Mississippi City Council for voting to advance city-wide non-discrimination protections based on sexual orientation and gender identity in housing, public accommodations and employment. Passed by a 7-0 vote, the measure also expands the city’s hate crimes statute to include tougher penalties for perpetrators who commit crimes motivated by the victim's real or perceived sexual orientation and gender identity or expression. Today’s vote comes just days after a tragic shooting at a gay nightclub in Orlando, Florida, claimed the lives of 49 people and injured more than 50 others. While that crime has not yet been labeled a hate crime, according to the most recent FBI statistics available, more than 20 percent of hate crimes reported nationally in 2014 targeted people based on their sexual orientation or gender identity. As a recent investigation by the Associated Press uncovered, this reporting dramatically undercounts LGBTQ data, as it is based on local, non-mandatory reporting. Strong, fully-inclusive hate crimes legislation at the local level plays an important role in improving data collection and ultimately saving lives. Mississippi is one of 20 states that do not have hate crimes laws explicitly protecting sexual orientation and gender identity, and one of 32 without fully-inclusive LGBTQ non-discrimination protections. Jackson his been leading on the issue of LGBTQ equality. Earlier this year, the Jackson Public School District’s Board of Trustees unanimously voted to extend fully-inclusive sexual orientation and gender identity workplace protections to their employees. With almost 30,000 students, the district is the second largest in the state and one of the first in the Mississippi Public School system to grant employment protections to LGBTQ staff members. In 2014, HRC launched Project One America, an initiative geared towards advancing social, institutional and legal equality in Mississippi, Alabama and Arkansas. 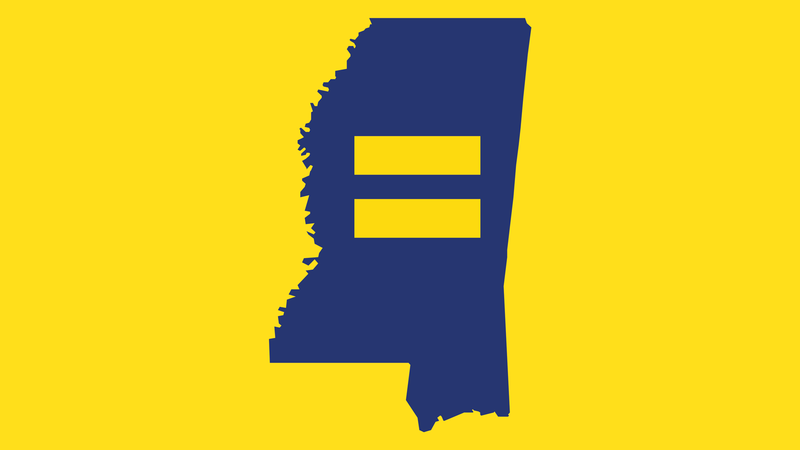 HRC Mississippi continues to work to advance equality for LGBT Mississippians who have no state level protections in housing, workplace, or public accommodations. Through HRC Mississippi, we are working toward a future of fairness every day—changing hearts, minds and laws toward achieving full equality.